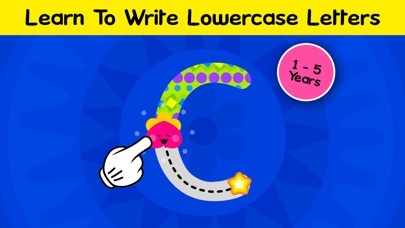 Learn to write the letters of the English alphabet in uppercase and lowercase, numbers and shapes through 'Learn To Trace App' ! Writing is an important skill that every young child needs to master. So how do you make writing more fun for little ones? By making it exciting and fun! 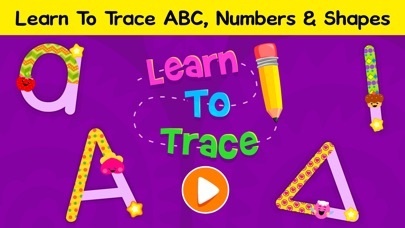 'ABC Tracing' teaches your Child to write uppercase and lowercase letters of the alphabet, numbers and shapes through interesting tracing games. 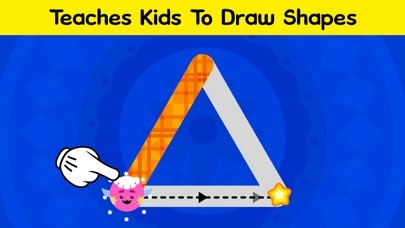 Why will your kids love this app? - It's simple to use and fun to play with! - Cute characters and animations to keep your child engaged - Voice over to guide and teach your child - It's your very own animated workbook! What will your child learn? - Uppercase ABCs - Lowercase abcs - Numbers from 1 to 10. (It's easy as 123!) - Simple shapes such as Square, Circle, Rectangle, Oval, Triangle, Heart, Diamond, Star, Pentagon and Hexagon What's free in this app? 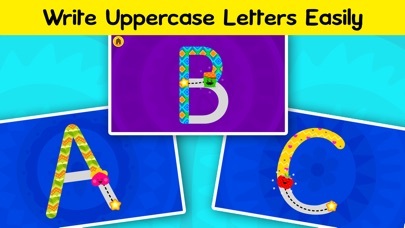 - The letters A, B and C in uppercase - The letters a, b and c in lowercase - The numbers 1, 2 and 3 - The shapes Square, Circle and Rectangle The remaining sections are available via in-app purchase for $4.99 Take the first step towards early learning through preschool activities. Such activities improve your kids' fine motor skills and other preschool writing skills. 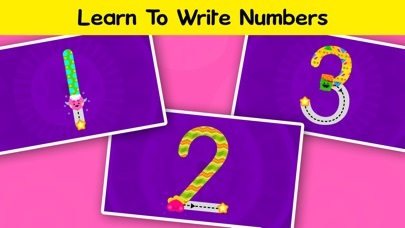 It helps them understand and memorize the letters, numbers and shapes easily.